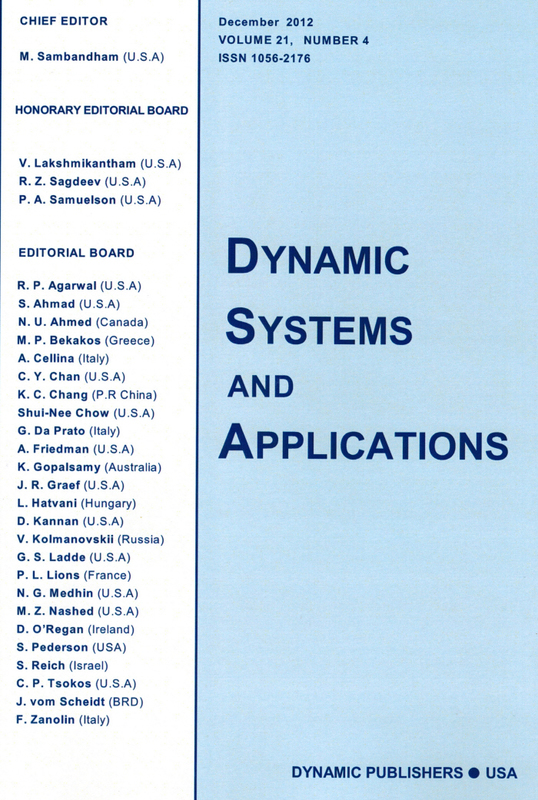 All editors of "Dynamic Systems and Applications" and all members of our company Academic Solutions trust in an independent knowledge and in the benefits of ethical behaviour, which is based on our individual freedom and on our intellectual honesty. Our journals communicate new information, new results, and new ideas in science. If authors ignore the fundamental values of honesty and trust, that information becomes flawed, and the scientific society may be harmed. Therefore we will follow the materials published in Committee on Publication Ethics (COPE) and abides by its Code of Conduct and aims to adhere to its Best Practice Guidelines. Plagiarism: All journals published by Academic Publications are committed to publishing only original material. Duplicate Submission or Self-Plagiarism: If authors (or one author) have used their own previously published work, or work that is currently under review, as the basis for a submitted manuscript, they are required to cite the previous work and indicate how their submitted manuscript offers novel contributions beyond those of the previous work. Immediate rejection of every other manuscript submitted to any journal published by Academic Publications. Prohibition against all of the authors for minimum of 24 months. Prohibition against all of the authors to serve on the Editorial Board. We will inform our partners for proved plagiarism or self-plagiarism. We will inform supported organization for proved plagiarism or self-plagiarism. The author list is incorrect (i.e. a deserving author has been omitted or somebody who does not meet authorship criteria has been included). The journal (and our company) are member of CrossCheck. All manuscripts submitted will be checked for plagiarism (copying text or results from other sources) and self-plagiarism (duplicating substantial parts of authors' own published work without giving the appropriate references) using the CrossCheck database. Plagiarism is not tolerated.